I was inspired to design a special scarf that will be easy enough for beginners, yet steering away from the regular rectangular look. This Ruffle Wave Scarf is much easier than it looks, using only knit & purl and two different sized needles making it an ideal project for anyone who wants to learn how to knit. 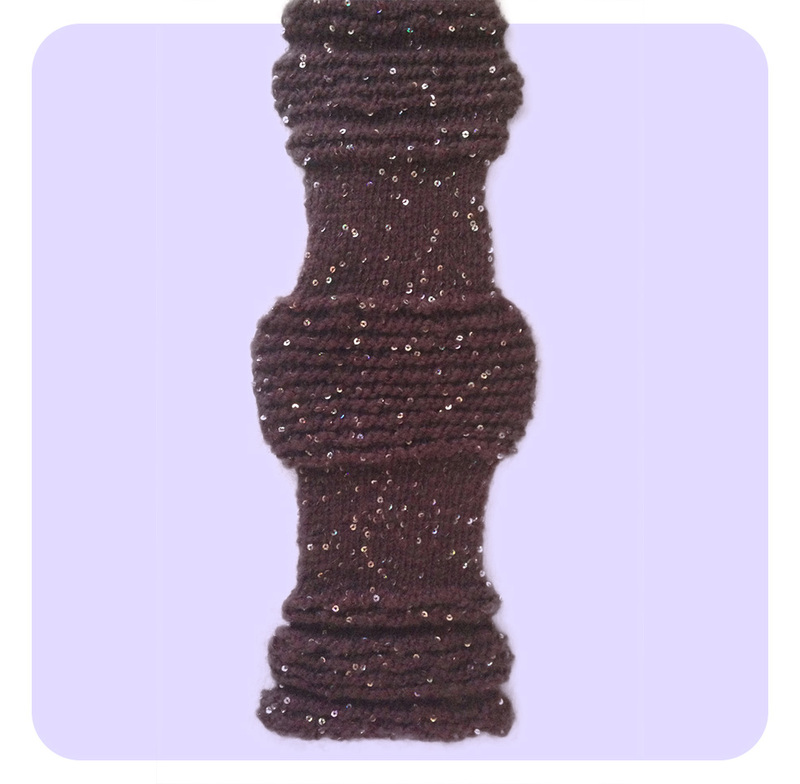 *Note: This pattern uses a novelty yarn, it has sequins and fluffly textures. For yarn substitution, select plied 12ply equivalent yarn with similar textures. If you are just starting out, you can also use 14ply bulky yarn for a simpler quick knit.